Welcome to the California Superbike School Forum! 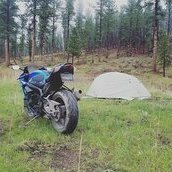 Whether you have questions about cornering techniques or are looking for information about how the school works or just want to talk about motorcycles with others that share a passion for riding, you have come to the right place. This is a friendly, supportive and helpful forum, your questions are welcomed and will be answered by forum members and Superbike School staff. Welcome to the Forum! Post up and introduce yourself, let us know where you are from and what sort of riding you like to do. Here are several dozen interesting articles written by Keith. All of them contain something anyone can apply to improving their riding skills. This is the place to talk about WSBK, MotoGP, your racing heroes, or ask questions about racing! Don't forget to add Spoiler Alerts if you want to talk about a race others might not have seen yet.